A slide from 2017 containing a look at some new Gmail features. The new product could end up looking very different from this. While the timing of the redesign is a bit of a surprise, the news itself isn’t. We’ve been hearing about a Gmail redesign since last year. 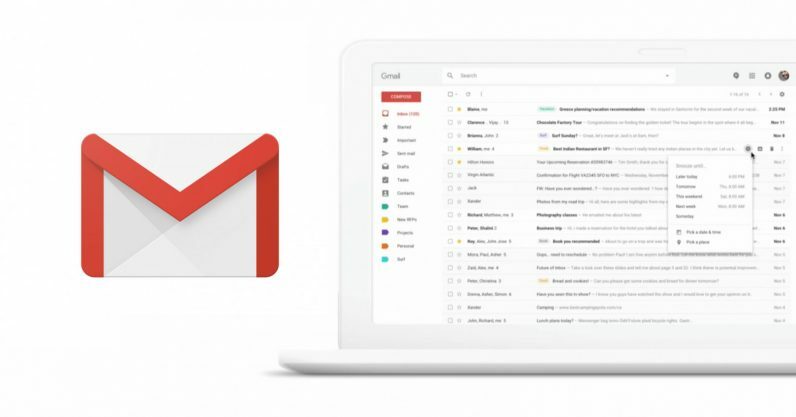 At the time Google had revealed it was working on adding some new features to Gmail, including Smart Reply, Smart Groupings, and Snooze – all staple’s of Gmails smarter alter-ego, Inbox. The slide above (courtesy of Android Police) came from Google’s NEXT Conference last year. While it’s possible the final design may end up looking quite different, it does match a description of the new design provided to TechCrunch today. With the redesign, it’s not clear whether Inbox will have much of a reason to stick around, but given the majority of Gmail users use the standard Web interface, it’s probably a change for the better. It’s not clear when exactly the new design will be available, but I’d bet that’ll be before Google I/O is over next month.